Starbucks Corporation (NASDAQ:SBUX) says that customers no longer need to be customers to hang out in its stores. The change in policy was outlined by the company in a letter that was sent to employees on Friday. The letter says that employees are to treat all guests in its stores, on its patios and in the rest of its establishment as if they are customers. This is a change over the previous policy that Starbucks had when it came to guests just sitting around in its stores. Previously, it was up to store managers to decide how to deal with these guests. However, the company does still request that guests act in an appropriate manner. It also says that store managers can still call police on disruptive or dangerous customers, reports CNNMoney. The official change to Starbucks’ policy concerning customers comes after other recent talk about its bathrooms. The company used to only let paying customers use bathrooms. That change was announced by the company just a couple of weeks ago. All of these policy changes at Starbucks are coming about following the controversial arrest of two black men at one of the chain’s Philadelphia locations. The company apologized for these arrests and said that its store manager was in the wrong. The change to its bathroom and customer policies come after hashtags calling for a boycott of the company started to spread on social media. 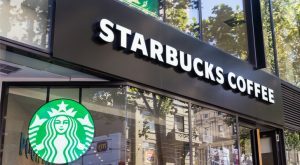 Article printed from InvestorPlace Media, https://investorplace.com/2018/05/starbucks-changes-customer-policy/.